The Agile Self-Assessment Game is used by teams and organizations to self-assess their agility. Playing the game enables teams to reflect on their own team interworking and agree upon the next steps for their agile journey. With this card game, they can discover how agile they are and what they can do to increase their agility to deliver more value to their customers and stakeholders. There isn’t a standard route to become agile, you have to find your own way. Methods and frameworks don’t tell you how to increase your agility. The Agile Self-Assessment Game is an “agile map” that inspires you with ideas and suggestions on where to go next on your agile journey. 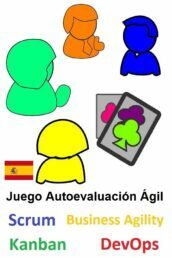 The Agile Self-Assessment Game consists of 52 cards with statements on applying agile practices. There are tons of ways to play with these cards to help teams to improve. 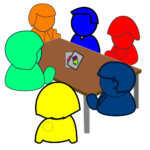 You can use them for chartering teams, in your retrospective, at a games night or in an open space, in a coaching retreat, or at any other occasion where you want to learn and have some fun. This game, developed by Ben Linders, has been played at the XP Days Benelux, Oefeningen voor Waardevolle Agile Retrospectives, Retrospectives Facilitators Gathering 2017, Lean Agile Scotland, Agile by Example, Agile Tour Lille, World Retrospective Day 2018, and at many other occasions. The Agile Self-assessment Game (cards, instructions, supporting materials and extensions) is licensed under a Creative Commons Attribution-NonCommercial-NoDerivs 3.0 Unported License. You can play the game in your team(s) and use it to coach people, attribute me as the originator. I provide services like assessments and in-house or public workshops, please contact me. Ask me for a license if you want to use it in your meetups, conferences, workshops, or training. Commercial use is not allowed: Do not provide services or products based on the game. Do not share or sell the game, or use (parts of) it to build your own variant. If you want to use the game commercially, please contact Ben Linders (benlinders@gmail.com or +31 6 2901 3863). More details, please see the FAQ. 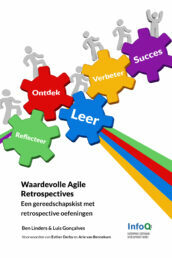 From version 2.0 onward the Agile Self-assessment Game has become a full agile game. The card texts are based on the manifesto for agile software development and generally accepted agile principles and practices. This makes the game useful for all agile teams, whether using Scrum, Kanban, XP, Lean, DevOps, SAFe, LeSS, Nexus, or any other agile framework. Find this game and other agile assessment tools at Agile Self-assessments on BenLinders.com. 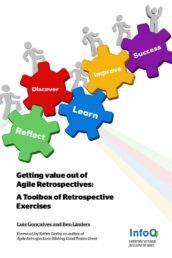 I play the agile self-assessment game in many of my public workshops, to teach how to use it in retrospectives or to increase the value of your agile and lean journey. I also use it in in-house workshops to help teams and organizations to reflect, learn, and take action to increase their agility. Contact me for details. The cards help to get the team out of the daily work and daily mindset. This is a wonderful way to get your team talking about how they are “being” agile! The game really did add value and I got some real insight into the thoughts of people. 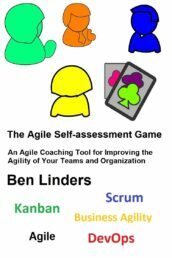 Ben’s Agile Assessment game is easy to adopt and easy for teams to pick up. We realized our agile maturity level, recognized actionable improvements and had great fun and insights! Playing the game builds clarity and alignment on what Agile means to everyone on the team and helps team members meaningfully evaluate their agility. It’s a great tool to use for a retrospective. As an internal Scrum master or internal agile coach, can I play the game with my team(s)? Absolutely! Go ahead and download the game and any expansion packs (Scrum, DevOps, Kanban, Business, Agility, etc.) that you need, get inspired by the playing suggestions and experiences, and start playing it. If I’m being paid as a Scrum master or to consult or coach a team, can I use the game? The license states that commercial usage is not allowed. However, the game is there to be played, not to collect dust. You can use it in retrospectives, or on other occasions with a team, as long as you mention my name as the creator of the game and my website where the game can be downloaded. This also applies when you are an external consultant working with a client (actually the game is bought by consultants all over the world who play it with teams at client’s organizations). Please do make clear to teams that you work with that the game was developed by Ben Linders, not you. Can I share the game with my colleagues or with other professionals like coaches or Scrum masters? When you buy the game and expansion packs, you get a personal license to play it. You are not allowed to distribute, share, or transfer the game in any way. Feel free of course to tell them about the game and give them the URL of this page or of the webshop so that they can download their own personal copy of the game and expansion packs to play it. What if I’m running a workshop for one or multiple teams, can I use it in my classes or teach how to play it? This is not allowed, as that would be a similar service that I offer commercially through my workshops. The license mentioned in the webshop and on the game, which you also received when you bought the game, states this very clearly. Then again I don’t want to be overly protective which would prevent the game from being used and delivering its value. If you plan to use it in an in-house workshop, please contact me to discuss this. We should be able to formulate a practical license for this, where attribution/recognition for me matters more than money earned. Note that if you are interested in offering training which includes one of my games or books, then I do expect you to come to one of my workshops first to learn how to use the game before teaching others. Can you do an on-site workshop to teach us how to play the game? Of course! I do plenty of those, either as a one-time event or within a consultancy agreement with companies. Often playing games is part of a series of workshops, or I’m asked to do it in another workshop after some time. I’m flexible, contact me to discuss your needs! I regularly fly in to do on-site workshops all around the world, one-time gigs are perfectly ok for me. Can you come to us to do assessments within our company? I can come over to facilitate self-assessments within your company, helping teams to find out how well they are doing and explore how they can further improve themselves. That would be paid work of course, as it increases the value of your teams and your company. Note that I would not be assessing your teams or the company with the game, I’m supporting and teaching how you can do it yourselves. After I leave, you will be able to do self-assessments with the game. If you want an assessment, that’s a different service which I do provide, for instance with CMMI assessments and audits. Where there are companies that “abuse” self-assessment as marketing leads for getting consultancy work, I don’t do that. I’m not offering “free” assessments to get in and sell consultancy hours. I don’t do full-time consultancy or longer term part-time consultancy. I work with many customers in parallel, delivering just-in-time training, advice, and coaching. If I’m being paid by a client should I just not use the material at all? You are allowed to use my games, books, and any other products from me under the conditions described above. Just as I want teams to play the game, I’d like consultants and coaches to support playing it. The game is there to be played, not to be hidden away or protected! So I allow coaches and consultants to play it with the teams that they work with. And I love to hear from them how that works out. Doing training or workshops that includes one or more games is strictly prohibited. If you see a market for a workshop with one of my games or books in the area where you live or work, please let me know. Then I’d like to partner with you to offer public and/or in-house workshops. Why do you make the game available for other consultants and coaches? Part of my business is giving workshops (in-house and public) and doing on-site advisory and coaching work, where the games and exercises that I use significantly drive the value that I deliver. I’m trying to find a balance between providing tools that teams and coaches can use in their daily work and services like workshops/training and advice to organizations for sustainable change. 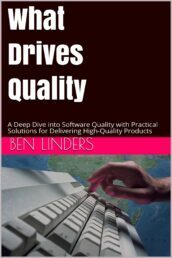 Both aim to increase agility and result in better software products and services, which is my contribution to making this world a little bit better. Both have value, that’s why started selling the game through my webshop. Also scaling plays a role here. I can’t possibly train all organizations and teams who want to play the game. But I can provide the game through my webshop and (remotely) support facilitators all around the world when using it :-). It’s a pleasure for me to support consultants/coaches if they want to play the game, so feel free to reach out to me. In my company, there are several facilitators that want to play the game. Do they all have to buy their personal copy of the game? When someone buys a game or expansion pack, they get a personal license to play it. So one solution is that every facilitator buys his/her own game to be allowed to play it. But with many facilitators inside a company, that can be a hassle. There’s a better deal, which is the Agile Self-assessment Game – Corporate Edition. Instead of a personal license, the corporate edition grants the company a license to have the game played within the company. I work with a consultancy agency and I would like the consultants that I hire to play the game with the teams in my company. Is that possible? Of course. But then you will have to acquire the Corporate Edition of the game, not have the consultancy agency buying it. When the Agile Self-assessment Game – Corporate Edition is bought, the corporate license goes to the company that employs the buyer. So the buyer has to be employed by and working for the company where the game is supposed to be played, which is your company. What happens if the consultancy agency or a consultant buys the Corporate Edition? If the consultancy agency or a consultant buys the corporate edition, then the license allows them to play the game with a maximum of ten facilitators within their own consulting company. The license does not allow them to have their consultants playing the game with their clients! If a consulting agency wants one of their consultants to play the game with the client’s team(s) then that consultant should personally buy the game. Buying the game or an expansion pack gives a personal license to play it by the consultant, where the Corporate Edition comes with a company license. I have the Corporate Edition. One of the persons that facilitated playing the game has left. Is it allowed to let another facilitator step in and play the game? Yes! The license to play belongs to the company, so the company can transfer it to another employee who will play it within the company. I played the game in the company that I worked using the Corporate Edition, but now I left the company and got a new job. Can I play the game in the new company? The license that you used to play the game belonged to the company where you used to work. It doesn’t allow you to play it in your new company. I would suggest to either buy the game yourself, which will give you a personal license, or have your new company buy the Corporate Edition and use one of the licenses that comes with it to play the game. I’m a consultant and I work with multiple clients. Can I play the game within each of the companies that I work with? Yes, you can, provided that you bought the game personally and attribute it to me when playing it (see “If I’m being paid as a Scrum master or to consult or coach a team, can I use the game”). You don’t need to buy multiple copies of the game (per client). Be aware that you are not allowed to use it in training or workshops. Also, it’s not allowed to have the game facilitated by an employee from one of your clients or by a colleague since you only have a personal, non-transferable license for playing the game. What if I bought the wrong edition of the game? That’s easy, just contact me. Let me know what happened and what you need, and we’ll sort it out. I’ll refund and will adjust the order to make sure that you get what you need, and only pay for that. Why do I have to pay for downloading the game? Initially, I offered the game for free, but due to the great feedback that I received from those who played it, I decided to ask a small price for downloading it. Apparently, the game brings value, so it makes sense that I ask people to pay for it. The prices I ask are very reasonable: you can download the game with expansion packs for the price of a good cups of coffee and a tasty muffin; it costs much less than an hour of consultancy (even from a cheap consultant). The revenue that I receive also warrants the time that I frequently invest in updating the games and adding playing suggestions and experience stories. Is there any guarantee or support for the game? 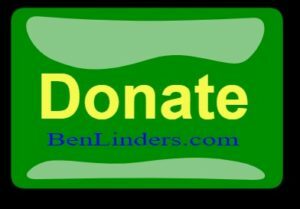 I can’t give any guarantee that the game will increase the performance of your teams and organization, but everything that people/companies buy from me comes with Free Lifetime Support. This is valid for any workshop, training, coaching, or advice that I provide, and also for products like my games and books. If you’re not happy with any product, anytime, let me know. I refund. When you’re happy, or very happy, let me know too . Send me an email. Write a guest blog to share your experiences. Let the world know on social media (tag me or use the tag #AssessAgility!). Shout it out! Can I get a physical deck of cards? The easiest (and currently only) way to have physical cards is to download the game and expansion packs, print them, and slice the pages into individual cards. Since the game is played by teams all over the world, distributing the game in digital format using PDF is the fastest, easiest, and most sustainable solution that I can think of. This is an agile game, which I develop using Lean Startup and Agile principles and practices. The cards are being updated frequently based on feedback received, more cards are added, and sometimes cards are removed. The digital format allows me to do this and release frequently. I’m exploring POD solutions like the Game Crafter, MPC, Printer Studio, and ArtsCow, for on-demand production and shipping. They can be used to deliver single decks of cards, but at a high price. If you want to have multiple physical decks for your company, contact me. Pre-order the Agile Self-assessment Cards – Physical Deck to let me know that you are interested. Together we can find a solution. How do I make my own deck of cards? Start by downloading the game and printing the PDF files. Depending on your expected usage, you can print on normal copier paper (80 g/m2) or heavier paper, or on photo paper. You might want to laminate the cards if you intend to use them frequently. I sometimes use colored paper to distinguish the different cards decks. White for the main game, green for Kanban cards, blue for Scrum, etc. This is why the cards are in black and white only, it makes it possible to print them on color paper. When you play the game, ask people not to write on the cards if you want to reuse them. Do you have an app for the Agile Self-assessment Game? Not yet. Suggestions on how to do this in a practical way are welcome! Note that I would highly favor a way to self-develop, release, and support the game as a one-man BusDevOps team. Please don’t send me offers to develop an app for me or to outsource app development. I have always been a big fan of assessments. They help you to reflect, see how you are doing, and find ways to improve. In the early nineties, I started doing assessments using the Capability Model (CMM) which later became the CMMI. I preferred doing class C assessments; focused mini-assessments where I worked intensively together with professionals to help them find out how they were doing and what they could improve on. When agile started taking off in this century, many of teams that I work with want to find out how agile they are. I searched for tools and checklists on agile which I studied in detail. I also tried out some of them, where I tailored them to suit the specific needs of the teams/organizations that I work with. During my research, I found many checklists and tools that can be used for self-assessment. They are listed on the Agile Self-Assessment webpage, a page that I have been maintaining since September 2013. Early 2016 I created my first version of a card game to do Agile Self-assessments with teams. I based the game on the Agile 42 point test and used ideas from some of the other checklists and tools that I found while investigating agile assessments. I started using the game more often in my workshops to teach agile practices and when I coach teams to help them reflect and improve at their own pace. Every time I used it I adapted the game by improving the statements on the cards, dropping cards and adding new cards. Small but important changes, which resulted in a renewed set of cards with powerful agile statements. Driven by the success that I had with the game in consulting I decided to go public at XP Days 2016. Next, I played the game at several conferences and meetups to find out that people really like it. Playing the game felt natural to them and the in-depth discussions about agile that the cards triggered helped teams to take action. As a was getting more and more requests from people who wanted to play the game with their teams, I decided to offer the possibility to download the game in my webshop. Initially, I offered it for free, but the great feedback that I received from those who played it confirmed it’s valued so I started selling it. People who download the game also get Free Lifetime Support (FLS) via email. 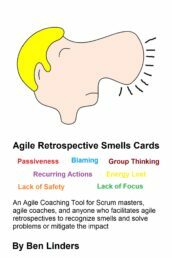 The game initially contained cards for general agile practices and for Scrum specific practices. Since sometimes teams don’t use Scrum I decided to split the cards. I created the basic agile game and the Scrum Expansion Pack with 13 cards. Together with Berry Kersten I then created the DevOps Expansion Pack which was released in June 2017. 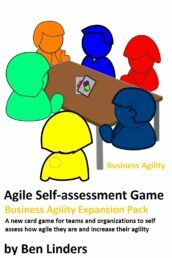 And I created a Business Agility Pack in collaboration with Brandi Olsen which I released in October 2017. In January 2018 I expanded the Scrum Expansion Pack from 13 to 39 cards and aligned all cards with the latest version of the Scrum guide. The game has been translated into French, Czech, Polish, and Spanish by volunteers and partners. I also created a Dutch version of the game – Agile Zelfevaluatie kaarten – which was released in December 2017 and a Dutch Scrum Uitbreidingsset, DevOps Uitbreidingsset, and Kanban Uitbreidingsset, which I released during 2018 and 2019. At this moment (January 2018) four Expansion Packs have been released. There are 195 cards in total. I’m regularly updating card texts adding more playing suggestions for the game. The journey of this truly agile game never ends :-). I provide many services for assessing your agility and can help you to increase delivered value using the Agile Self-assessment Game. Services offered are in-house workshops and public workshops which include playing the Agile Self-assessment Game, agile assessment for your team, department, or organization, facilitation for playing the game at your event (conference, meetup, hackathon, game lab, etc), and tailoring the Agile Self-assessment Game to your specific needs. Contact me for details. As a senior adviser and coach with more than thirty years of experience in software development and management, I’m there to guide you through your agile journey and help you increase your agility to deliver more value to your customers and stakeholders!